Basseterre, St. Kitts, March 15, 2019 (SKNIS): The Dr. Harris-led Team Unity Administration encourages public-private-partnerships (PPP) and works along with private sector entrepreneurs to improve the quality of life for citizens and residents and advance the economy of St. Kitts and Nevis. The MRI Machine at the St. Kitts Biomedical Research Foundation is one example of PPP. SKBMRI is the island’s first MRI (Magnetic Resonance Imaging) Facility and privately owned. The Dr. Denzil Douglas-led St. Kitts and Nevis Opposition Labour Party is opposed to the MRI facility being privately owned, even though the record will show that in 2014 when it was proposed to have the scanning equipment at the JNF General Hospital, the proposal was refused. A second proposal to have it at the Mary Charles Hospital in Molineux was also rejected. Minister Hamilton praised the performance of the work being done at the Research Foundation with the MRI machine. “The advocates for the takeover by the government and those who are bad mouthing the MRI facility and its work, this facility has more than 30 to 40-year history of quality performance in this Federation. It is the envy of many nations around the world providing service trying to understand how diseases are cured using the green vervet monkey as the test case for such things. What has happened is that their findings have impacted the creation of certain medicines to be able to cure diseases,” he said. Minister Hamilton said that the MRI facility has an excellent reputation beyond St. Kitts with people from all over the world coming to St. Kitts just for MRI scans. 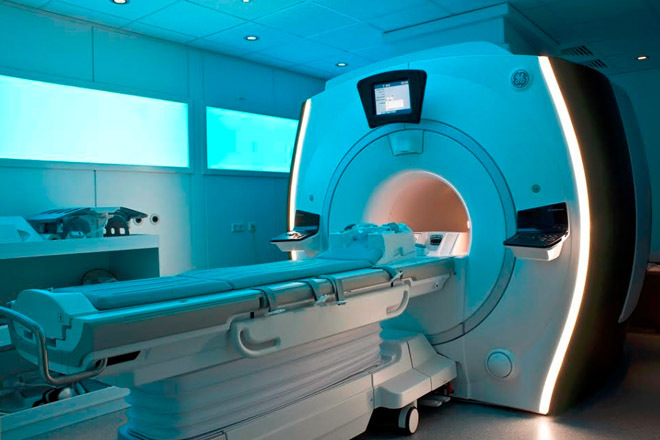 The MRI machine in St. Kitts is three times better in quality than the one in Antigua, said Minister Hamilton, while highlighting that it reduces the expenses of citizens and residents to have to travel overseas to seek medical help.